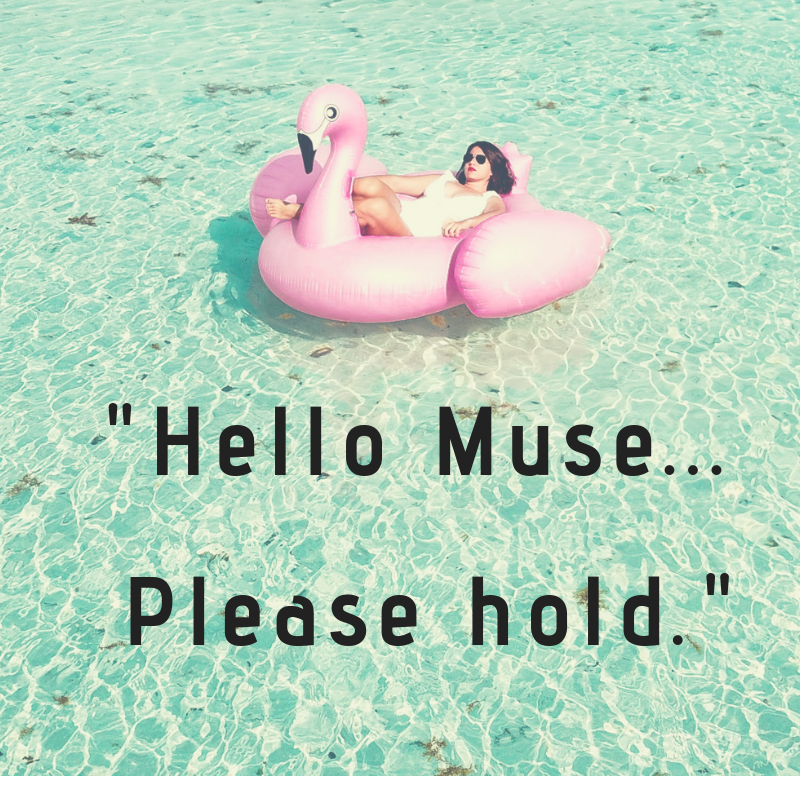 Jan 2 "Hello Muse... Please hold." Where for art thou muse? My time to work is very fragmented so I do my best at being disciplined in sitting down and putting words on the page. I might not be in the right frame of mind, or feel that my ‘muse’ is with me, filling my script with flawless execution and original thought. But it is there, and editing is part of the process for a reason. In fact, the ‘muse’ isn’t necessarily a regular visitor. Sometimes I can summon her, but usually she isn’t sitting right next to me breathing life and inspiration into my frontal cortex. I think that in general, she’ll send me an absent minded text from a far off land - probably a white sandy beach somewhere, in between sips of her third margarita... she has style after all. I rely on the words to just starting to come out once I get into the the action of putting them down. It isn’t very romantic. From time to time she really does turn up wanting to tango. Ideas are piling up in my mind like paper out of the printer, there is a clear and divine singing in my core and I am filled with boundless energy. Her timing is more than often completely off. I’ll be pushing the pushchair, singing ‘When you’re happy and you know it’ for the fourth time or something equally opposite to working. Either way I’ll be about as far from my desk as I can be without any hope of getting there soon. I mean, muse, couldn’t you call first? I’m a busy lady, we need to schedule these visits! This muse is a terrible friend who cancels on you at the last moment or turns up uninvited, and she clearly doesn’t have children! If only I could harness that magical sensation when it happens, bottle it, and then neck the lot when I have a moment to be brilliant. But no, it is not to be. Besides, anyone can have the odd bout of inspiration and do something creative on a whim. I am constantly reminded in what I read and listen to, that writers write. The more you do it, the better you will hone your craft. But I can’t help but have great hopes for 2016. We are only hours away from it. I believe that I can create more structure and predictability over my working week. Next year both children will spend a couple of days of the week at preschool so all I need is good planning and discipline around my time. To stay on top of the little things and leave room for the work that really drives me. It is exciting. Nearly as exciting as the potential 30 mm of rain that may soon fall on the hard, over-baked shortbread country that we are trying to farm on. Let’s start the year off with potential for new growth and possibilities. Jan 18 Are you following your True North? Jan 28 With 'Persisterhood' in play, who needs a therapist?